I thought that when I go on solo practice with my profession, I will have more time. On the contrary, I am as busy as ever. I have been on the go lately. I have tons of to do list from legal work (client meetings, pleading drafting, hearings and some work errands which I personally have to do myself) to blogging and makeup artistry on the side. Can you imagine my tasks on a daily basis? Wheew. My husband told me that my greatest asset is TIME. I am paid per hour basis (this is how my husband computes my income). As much as time is my bestfriend, it is also my worst enemy especially if there are deadlines. Despite my busy daily schedule, I still treat myself with a little it of rest and relaxation at the comfort of my home. No need to book an expensive spa because every night can be spa night with LUX. Lux offers indulgent treat waiting for you at the end of each busy day. And what could be more indulgent than bathing with perfume? "The new LUX Perfumed Bar Soap and Body Wash Collection allows you to bathe with Perfume Every Day, and promises to be the luxurious indulgent treat every woman deserve – ending your busy days with #LUXNights. With fine fragrances crafted by Perfume Experts from New York, London and Paris, LUX offers you different scents to choose from such as Magical Spell, Soft Touch, White Impress and Love Forever." 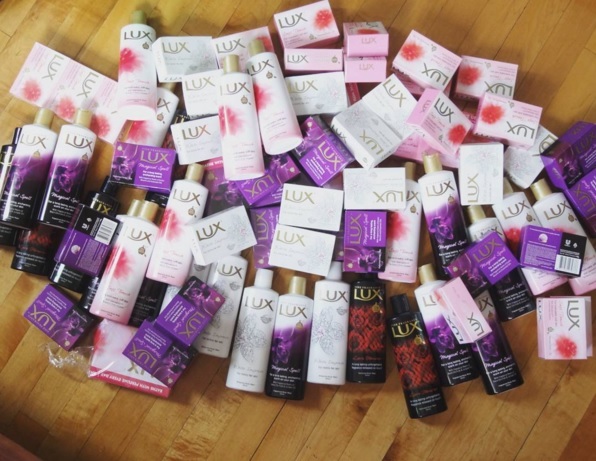 Would you like to have your own LuxNights moments too? LUX in partnership with mylucidintervals is giving away three (3) #LUXNights gift packs consisting of LUX Body Wash (250ml bottles of 4 variants, a bath puff, and a to-do list). Follow @primadonnarence and @luxph on Instagram. Share a photo with matching caption telling us why you deserve to have your #LUXNights on Instagram. Tag @primadonnarence and @luxph and use the hashtags #LUXNights and #LUXMyLucidIntervals so we can see your entries. You can send in multiple entries but you can only win once. Winners will be announced by LUX on their IG @luxph. You can only win once as there are many bloggers holding this giveaway. Also, prizes are for pick up at Makati City. For more information about #LUXNights, log on to http://www.houseoflux.com.ph.